Northgate;- The battlefield falls silent. 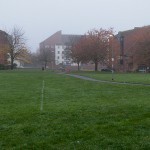 After 4 years of Sedgemoor District and Somerset County Councils threatening to build a giant Tesco Extra on Northgate and the Brewery Field, putting the town centre at risk, blighting the lives of nearby residents and flying in the face of the wishes of the people of Bridgwater the whole project has collapsed. 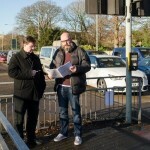 Bridgwater Town Council which consistently opposed the project in line with the majority views of the town is inviting members of the public to attend a meeting at Trinity Hall, St Saviours Avenue at 7.30 on Tuesday 24th March to have their say on what went wrong and importantly what we want for the future. The landowners, Sedgemoor District Council and Somerset County Council, have been invited to take part. 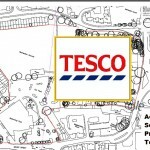 The meeting will be chaired by Mayor of Bridgwater Steve Austen and will include a short presentation about the history of the Tesco project on Northgate, the key decisions taken along the way and the campaigns fought by local people to save their green space and their town centre. Thereafter the bulk of the meeting will be open to contributions from the floor and a report from the event presented to the first meeting of the new Town Council after May’s elections.